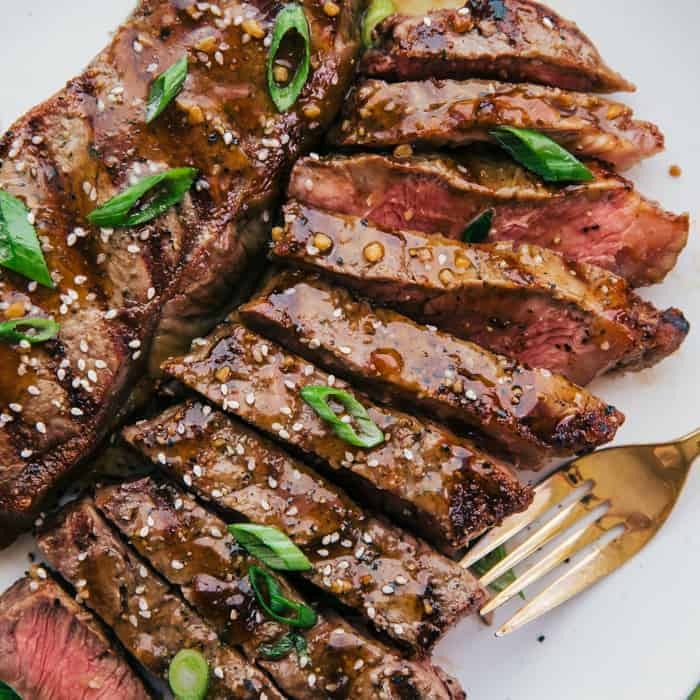 This Grilled Rib Eye Steak with Ginger Teriyaki Sauce is going to heat up your next BBQ. Loaded with the grilling flavor and topped with a lite ginger teriyaki sauce that tastes sensational. Grilling is one of the best ways to cook meat. 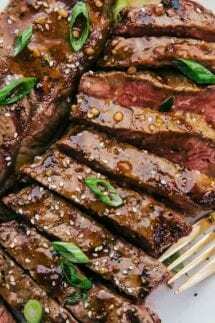 For some reason meat just always taste better from the grill and this Grilled Rib Eye Steak recipe with Ginger Teriyaki Sauce is no exception. If you are new griller or haven’t been able to master it yet, don’t worry this Rib Eye Steak will put you on the grilling map. 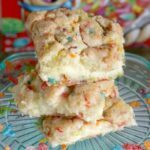 It is super easy and is a quick and delicious dinner you won’t want to pass up. Looking for some other great grilling recipe and how about some grilling tips? 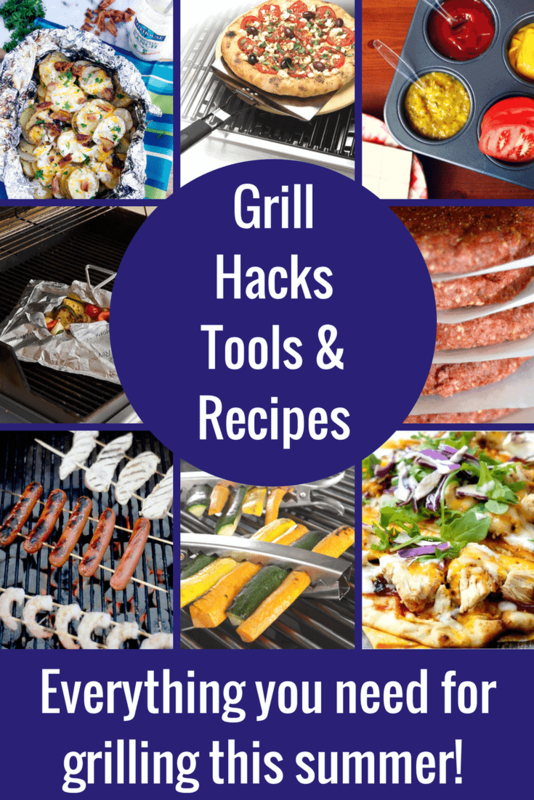 Make sure to check out our Grilling Recipes and smart grilling hacks article! Also, if you want a great side dish to grill right along side of the steak, these Garlic Potato Foil Packets are amazing! Grilled up perfectly with onions, whole garlic cloves and fresh herbs, you will love every bite. Now let’s get back to this amazing grilled steak recipe. We are going to teach you how to make the perfect rib eye steak! What is Rib Eye meat? This cut of meat can have a bone or be boneless. It is full of flavor, tender and juicy with marbling throughout. The marbling is the fat in the meat that gives it flavor and it’s tenderness. Rib Eye steak is a very beefy cut of meat. How do you grill Rib Eye Steak? Make sure your grill is clean. Pre-heat the grill to 450 degrees and spray with grilling spray so steaks won’t stick. Season steaks with garlic salt and pepper on both sides then place on the grill. Grill 5 minutes per side, then remove from grill. Let rest about 5 minutes (meat continues to cook after you remove it from the heat source). If you like your steaks well done then leave them on longer until desired doneness. 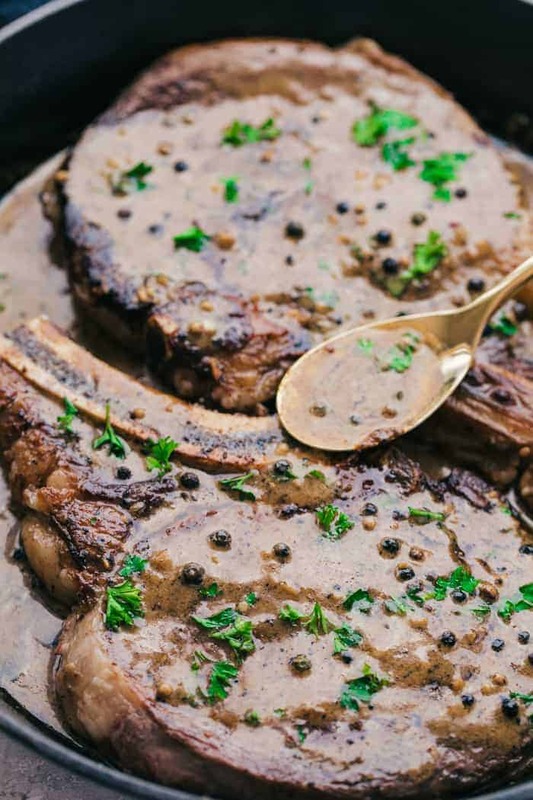 Let’s talk about this Ginger Teriyaki Sauce that goes over the top of this Rib Eye Steak. It doesn’t take away the rich bold flavor of a juicy grilled steak, rather it enhances the flavor and isn’t overbearing. 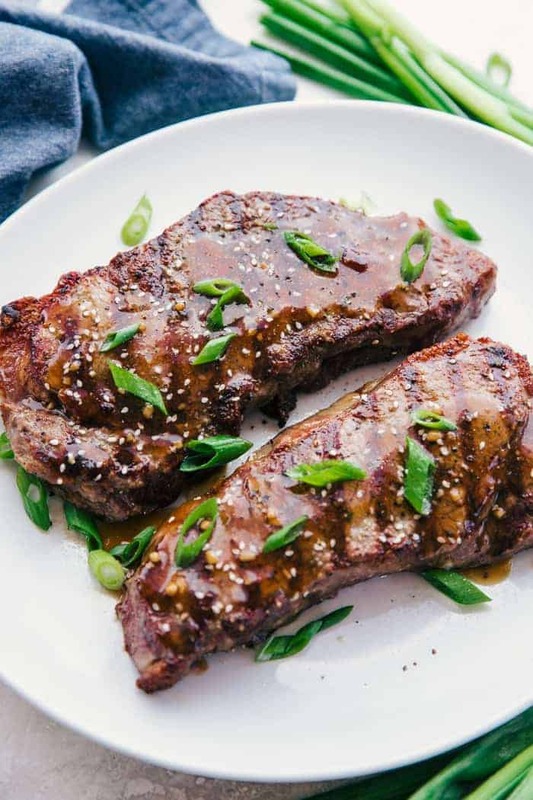 A lot of people don’t even need anything over their steaks or find it offensive to even think of a steak sauce, but this Ginger Teriyaki Sauce really brings out the flavor of these rib eye steaks and compliments it rather than hides it. How to make Ginger Teriyaki Sauce? This is a simple and quick sauce to make and pour over your steak once it cooked. No need to marinate. In a medium sauce pan add; soy sauce, water, apple cider vinegar, sesame oil, minced garlic, fresh grated ginger, and brown sugar. Mix to combine and bring to a slight boil. Mix together cornstarch and water to make a rue, and pour into sauce. Mix well and reduce heat. Let simmer 2-3 minutes until sauce has slightly thickened, pour over grilled Rib Eye’s and garnish with sliced green onions (optional). What side dishes do you serve with steak? Since dinner can be crazy sometimes and time is not always on our side, this Grilled Rib Eye Steak with Ginger Teriyaki Sauce is perfect. 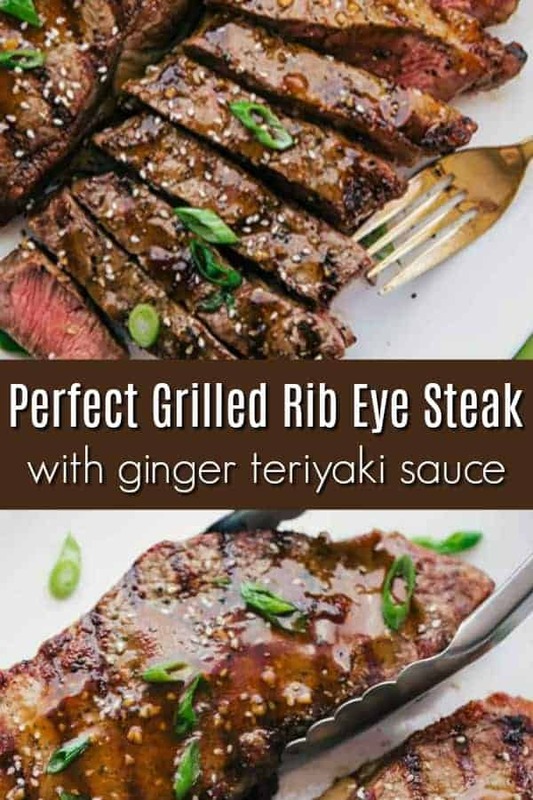 It requires very little time and the Ginger Teriyaki Sauce can be made before you grill your steaks, so after they are done all you have to do is serve it up. Grilling is a great way to keep clean up and time cooking to a minimum and enjoy the amazing flavors. 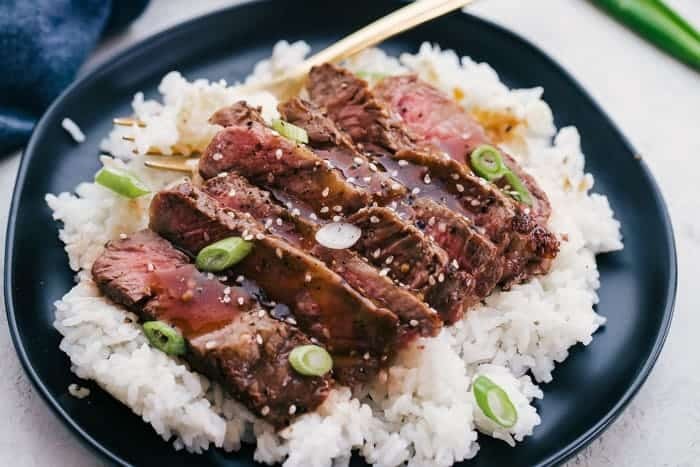 This Grilled Rib Eye is sensational and the Ginger Teriyaki Sauce takes it over the top. Season steaks with garlic salt and pepper. Pre-heat grill to 450 degrees and spray with grilling spray so steaks do not stick. Grill steaks 5 minutes per side, then remove and cover to keep warm while making the sauce. In a medium sauce pan over medium heat, add soy sauce, water, apple cider vinegar, sesame oil, minced garlic, grated ginger, brown sugar. Mix to combine and bring to a slight boil. Looking for another Easy Steak recipe?